The Fish-Eze Attic Wire Fishing Kit is designed to allow single-person installation of wires through door or window headers and up into attics in a fast and efficient way. 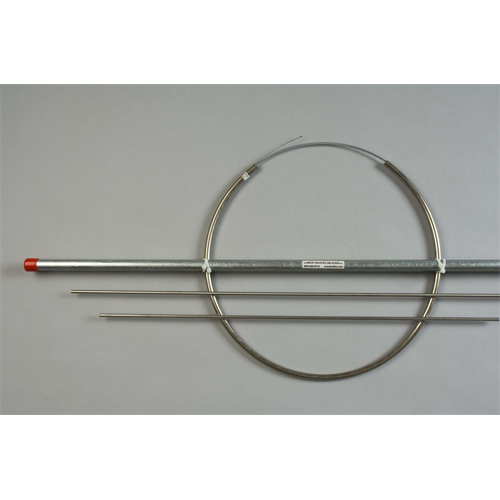 The tool uses a unique combination of tubes and spring wire to push wire through the header, eliminating the most difficult step of fishing wire through these structures. The memory coiled wire coils into the attic so does not need support from below while you retrieve the wire in the attic. 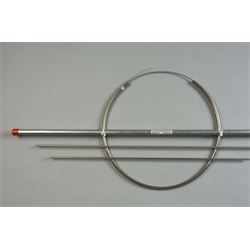 The kit contains a 24” small diameter stainless steel tube in fiberglass storage housing (for 8ft. ceilings), a 36” small diameter stainless steel tube in fiberglass storage housing (for 9ft. ceilings) and a 12ft. memory coiled wire with eyelets at both ends in a circular case.